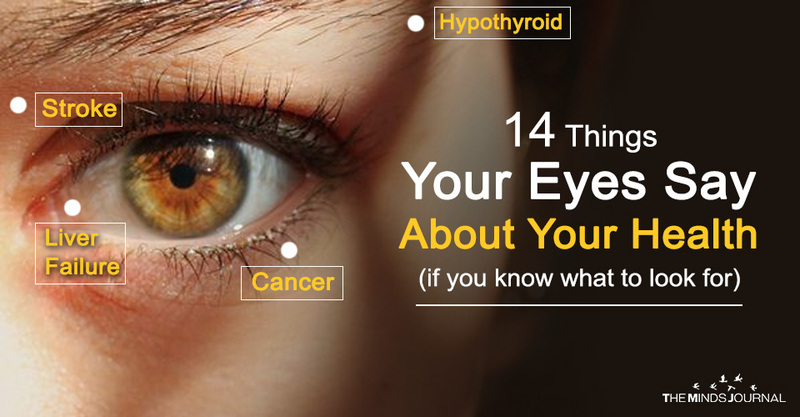 If you notice that a third of your eyebrows fall out, it may indicate a thyroid disease. If the stay stays of more than three months or it keeps re-occurring in the same area, it indicates that you are suffering from a rare cancer called sebaceous gland carcinoma. This issue may or may not be followed by a headache, and it appears as a result of a migraine aura. This condition is commonly known as jaundice and it mainly affects newborns with immature liver function as well as those suffering from bile ducts, gallbladder, and liver issues. The most common cause of protruding eyes is hyperthyroidism (overactivity of the thyroid gland). Diabetics are more prone to eye problems. This condition is the leading cause of blindness in American adults. Is Poor Vision Inevitabe As You Age? Poor vision is not inevitable and modern lifestyle just contributes to it. People over 60, apart from glasses, may also need high-quality supplements in order to support their vision. Iridology, or iridodiagnosis, is an alternative medical technique which studies the iris of your eye. The practitioners of these techniques claim that certain characteristics, such as colors and patterns can reveal significant information about your overall health. With smoking, the production of free radicals increases and it negatively affects the quality of your vision. With a regular consumption of green leafy vegetables you can significantly improve your eye health. These vegetables are abundant in lutein and zeaxanthin which can improve the quality of your vision.